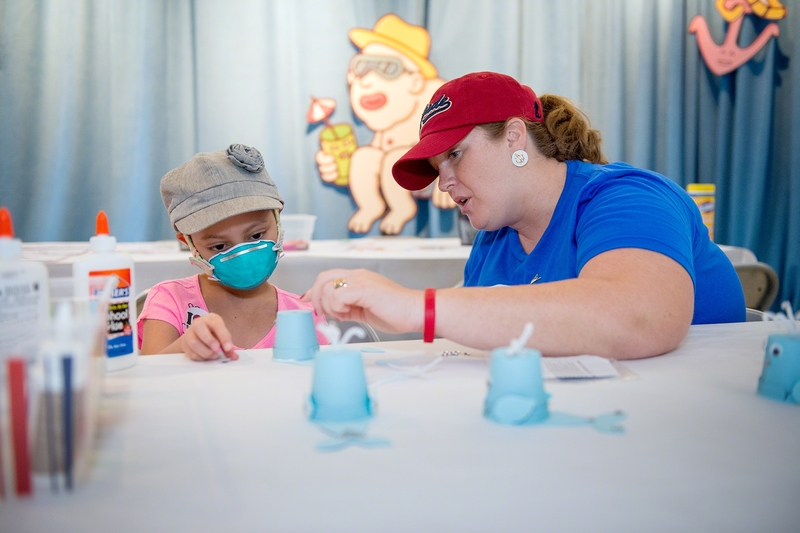 As part of its new role as Official Celebration Partner of St. Jude Children’s Research Hospital®, Carnival Cruise Lines hosted a fun-filled “Day of Play” for the kids and their families at the Memphis, Tenn., facility, one of the world’s premier centers for the research and treatment of pediatric cancer and other catastrophic diseases. Hosted by Carnival’s cruise director extraordinaire Butch Begovich and members of the line’s entertainment team, the event was modeled after a typical day at sea aboard the line’s “Fun Ships,” with activities such as limbo, mini-golf and nautical-themed arts and crafts, along with music, giveaways, fun photo opportunities, and even an ice cream sundae bar. A tropical, cruise-themed décor, including a backdrop of a Caribbean sky inspired by the “Day at Sea” theme, added to the fun atmosphere. 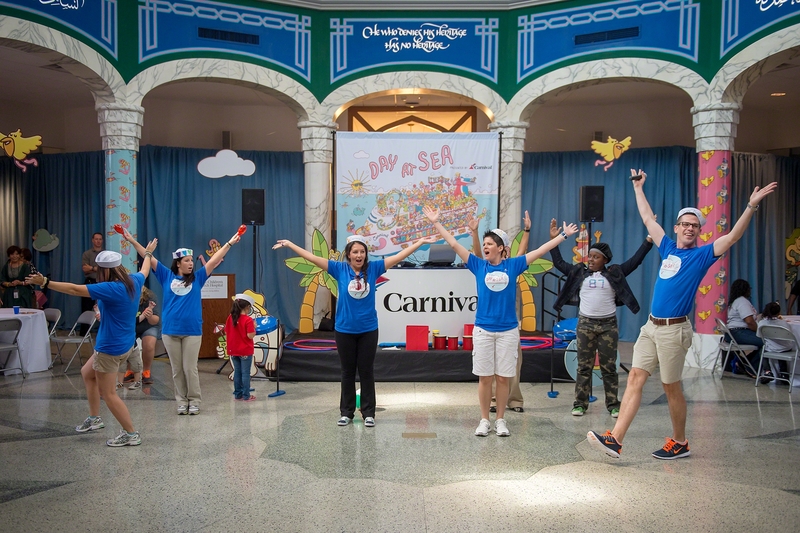 The “Day of Play” continues Carnival Cruise Lines’ ongoing support of St. Jude, the line’s primary charitable partner. Earlier this year, Carnival expanded its relationship with St. Jude, pledging to raise $5 million over the next four years, complementing a previous $3 million contribution. 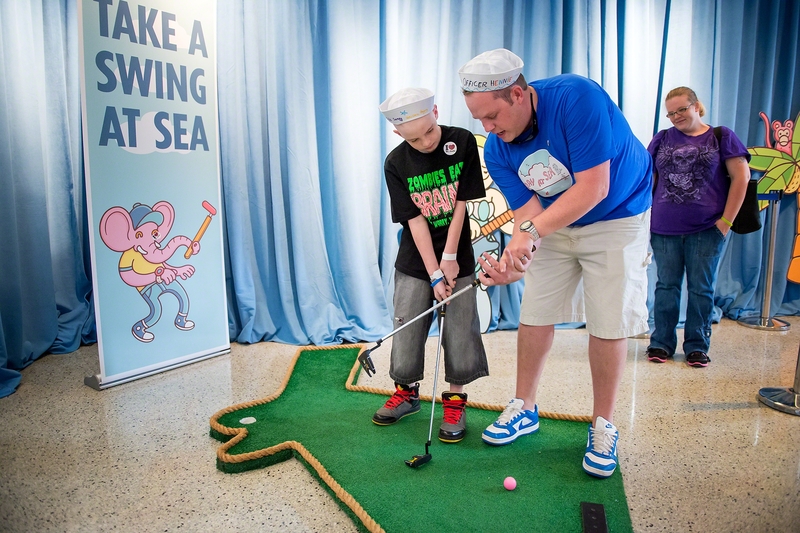 Monies will be raised through a number of fun activities, both onboard and ashore, to support St. Jude’s groundbreaking research and education programs.